Since the indigestible resources in the low-income countries arc very much limited in face of growing and urgent needs for them, the problem of choosing be tween alternative employment of these resources assumes great importance. 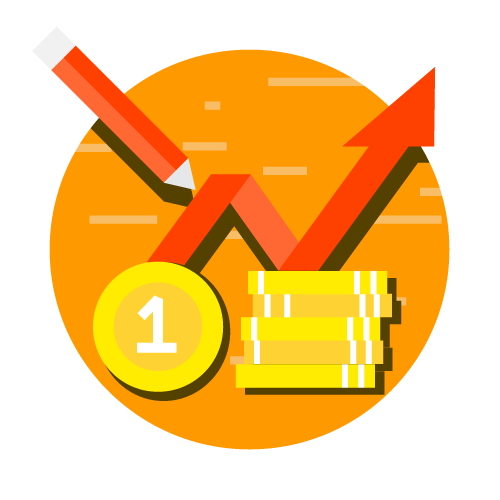 Given the total investment and its distribution over different sectors and given the alternative technical and localisation possibilities, the question is how to rank alternative projects so that some of them are preferred to others. For the same level of output, it may be possible to use several alternative techniques or different factor combinations and we have to discover the most economical technique in a given situation. 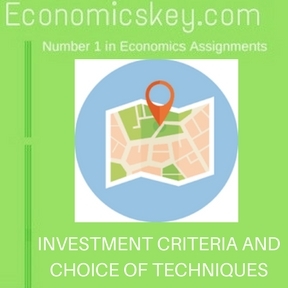 Obviously, for a planned unbalanced growth we must explore suitable criteria for investment, i.e., to discover the main bases on which to determine the distribution of limited vestibule funds and skills ‘among the homologous claimant fields of investment. 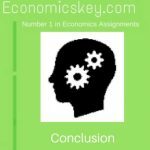 We have discussed above the investment criteria of total linkage effects as recommended by Scotchman, which form a part and parcel of his theory of planned unbalance growth. Now we shall discuss other, investment criteria which have been put forward. While selecting projects for investments out of a number of technically feasible alternatives, the most important consideration seems to be to weigh their costs and benefits and to select those which maximize the difference be- There are lots of Investment projects to choose from tween costs and benefits. 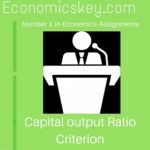 The costs include the cost of capital, i.e., interest, cost of raw materials, rent, salaries, wages and other expenses and benefits refer to the return on the capital invested based on the size of the output resulting from the investment. 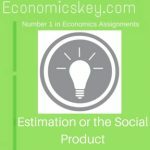 “The aim is to maxi miss the present value of all benefits less that of all costs.” The purpose of the cost-benefit analysis is to indicate whether a particular project is worthwhile or which is economically the best of the several alternative projects that can be undertaken subject to specified constraints. The alternative projects which present themselves for our choice differ in the type and the number of workers required. the nature and the quantity of raw non criminals and equipment required, the period involved in cirri completion and the life of the project and in the resultant output from that particular investment. These differences affect the and benefits of these projects and we have to attempt a social valuation of these costs and benefits so as to determine the choice of a particular alternative in preference to others, The weighing of costs and benefits seems to be a simple affair but in its application several ticklish questions crop up. 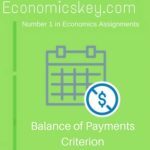 (a) Which costs and which benefits arc to be considered? 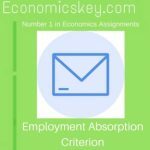 (b) How arc the costs and benefits to be evaluated? (c) Since we have to find the present values of costs still to be incurred and benefits Stilton accrue, at what rate of interest are they to be discounted? and , (d) What arc the relevant constraints? and benefits but we should also consider the external or side effects and secondary benefits, That is, the costs and benefits have to be taken in a wider sense which means that we must take into account costs and benefits which accrue to the bodies other than the one sponsoring the project. This is necessary because investment in a particular project alters the physical production possibilities of the other producers or the consumption possibilities of other consumers thus affecting their satisfaction from given resources For instance, con traction of a reservoir upstream will necessitate more dredging by the downstream authority, or improvement of a certain road increases the incomes of garage aim restaurants on that road. But it has to he offset by the losses incurred hey those on the other roads owing to diversion of traffic. In order to avoid double counting, we have to ignore purely transfer or distributional items from cost benefit evaluation.IS we have to take toilet account the value of the increment of output resulting from a given investment and not the increment in the value of existing asset Then there arc the secondary effects. An irrigation project will not only increase output in the area it command but also confer other benefits. The primary benefit is the increase in the value of agricultural output less the costs incurred by the farmers concerned. But increased output will result in increased bu me: s activity, and hence profits. of the grain merchants. millers, transporters, banks, bakers, ell’. The e arc the secondary benefits. In case the output has a market value, then this value plus the consumer’s surplus, if any, will constitute the benefit. In case the output IS not sold in the market in a normal way but it is supplied to the’ consumers at a price based on welfare con iterations. Rate of Discount. Now we come to the question of ascertaining the present value of the future costs and benefits, i.e., discounting process. Which rate of interest is to be used for the purpose? There is a large number of interest rates prevailing in the private sector and there seems to be no ground for selecting any of them. 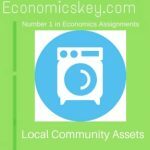 It is not clear whether any market-determined rate would be sufficient for community investment decisions. It is said that social time preference rate attaches greater importance to the future than private time preference. It seems best to use the government borrowing rate since it is easily applicable and is also a risk-free rate of interest. Usually. the interest rate is selected on the basis of observed rates ruling at the time for calculating present values Social cost of time has also to be determined. Projects differ in their gestation period and in the durability of construction. On what basis are we to impute social value of time? Take first the gestation period. 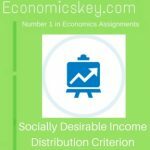 Tile social cost in gestation is the value of the output that could alternatively be obtained in the meanwhile with the same resources. the maximum that could be obtained within the shortest possible time, Projects with shorter gestation period but with higher output have, of course, to be preferred. But if the rate of output in a shorter gestation period is lower, as is generally the case, then we have to balance the advantage of having a higher rate of output in the longer period against the disadvantage of having to forego the output which could be had in the shorter period even if it be at the lower rate, in the interviewing period. As [or the durability of the assets created by an investment, it affects current costs via the raise if depreciation. Less durable project is subjected to a higher rate of depreciation. and vice-avers and hence a larger deduction must be made from its gross output arrive at the net addition per annul of the project. But the society calculates the rates of depreciation in a different manner from private accounting. The community values capital equipment on the basis of what it can produce relatively to the use of labor involved. Hence. if the same equipment can be produced at less cost owing to improvement in labor productivity. the value of the equipment installed earlier will depreciate in terms of its output.